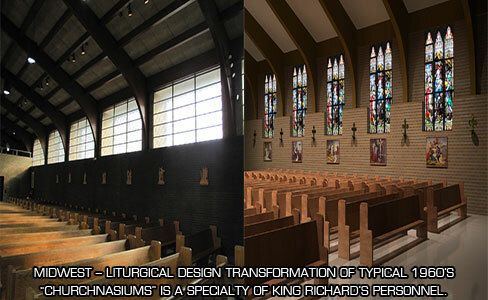 Why King Richard's for all of your liturgical design needs? See your space transformed, today! What is a liturgical consultant? Guidelines for Committees Liturgical Design for New Construction	Liturgical Design for Renovations	Make your church look like it used to. 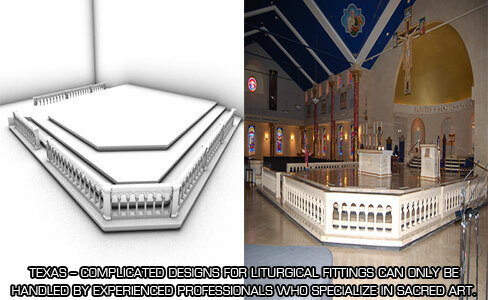 Liturgical Design for Adoration Chapels	Liturgical Design for Home Chapels	Liturgical Design for Furniture & Fittings	Our Liturgical Design Philosophy	Liturgical Design for Outdoor Spaces	Renderings/Drawings/CAD	Collaboration with Architects	Request a free presentation. A church building is far more than simply a box for "religious" activity, it is a place for significant religious experiences. 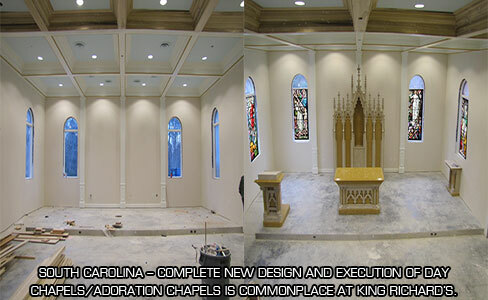 Because of this, when parishes and churches are renovating a historic building or constructing a new one, they turn to King Richard's for unmatched expertise in liturgical design. One of the biggest dilemmas faced by those undertaking a religious construction project is the overwhelming abundance of poor design. Coupled with inexperience and mediocre craftsmanship, it's a recipe for disappointment, maybe even disaster. 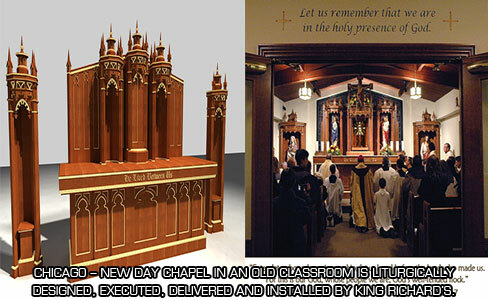 Unlike some companies, King Richard's specializes solely in liturgical design. We are fervent in our desire to help our clients create a meaningful and inspiring place of worship and have worked with dozens of high-profile projects in the past year alone. King Richard's personnel provide the finest proposals through hand drawn cartoons, cad software drawings, and free hand pencil sketches allowing our clients to see our vision and fulfill theirs. These services are offered for new or renovation interior projects as well as custom crafted items such as beautiful figural stained glass windows and hand carved wood furnishings and marble furnishings. We custom design more than 80% of our customers' spaces, showing them the breadth of what is possible, from concept to completion. 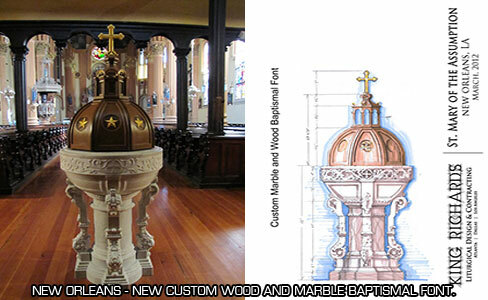 We offer innovative design services and fine religious artifacts from our extensive inventory—the world's largest—to traditional and contemporary churches across the U.S. and throughout the world. 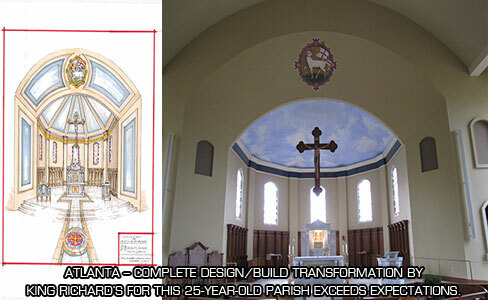 Our projects are varied—more than 2,000 in all—including Sacred Heart Catholic Church in Peoria, Illinois, the top liturgical renovation of 2006. 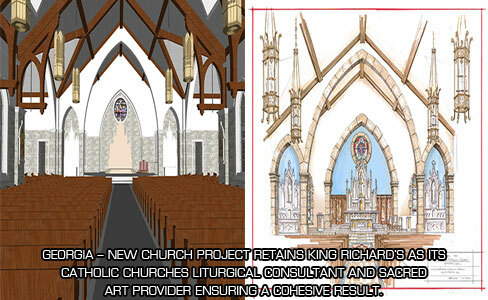 King Richard's has become honored to be involved in church interior design with our clients. Our expertise and passion for traditional church interiors is crucial for our clients when choosing to work with our personnel, thereby ensuring a worship facility that will inspire many for generations to come. After having worked with countless parishes supplying their need for artifacts, we have found ourselves now assisting them in their interior design as well, as our products are the most important part of their project. 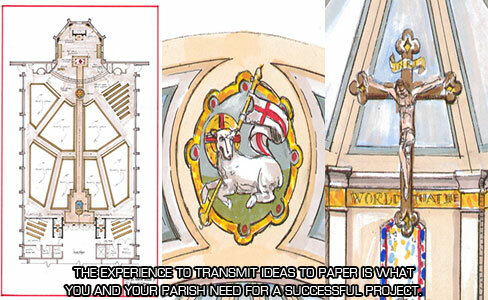 With our creative and traditional designs, we specialize in both new construction projects and churches that are planning a renovation or historic reproduction. 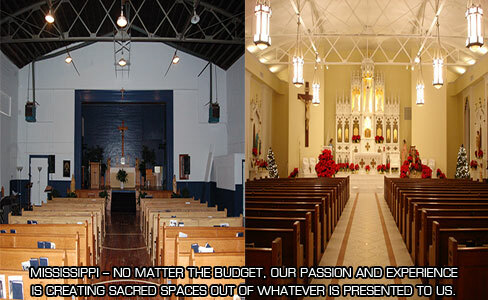 Due to the fact that we visit, study, design, and enhance hundreds of churches every year, our experience is unmatched. Furthermore, our passion for creating traditional inspiring spaces through our experience and vision always exceeds our clients' expectations. 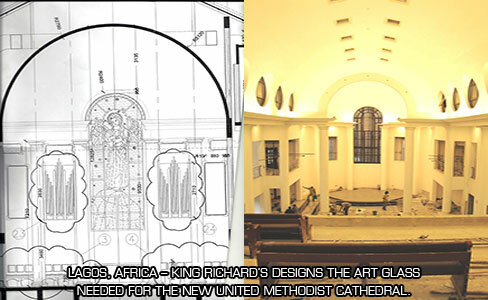 Whether you are working with an architect, general contractor, or handling your project yourself, King Richard's can help you create a beautiful worship space that will inspire devotion for generations to come. 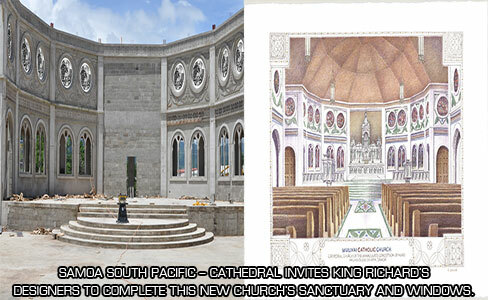 If you are considering a new look for your sanctuary, please contact King Richard's for a no-charge, no-obligation proposal. What faith groups do you work with?